Another day another festival being evacuated by Mother Nature. 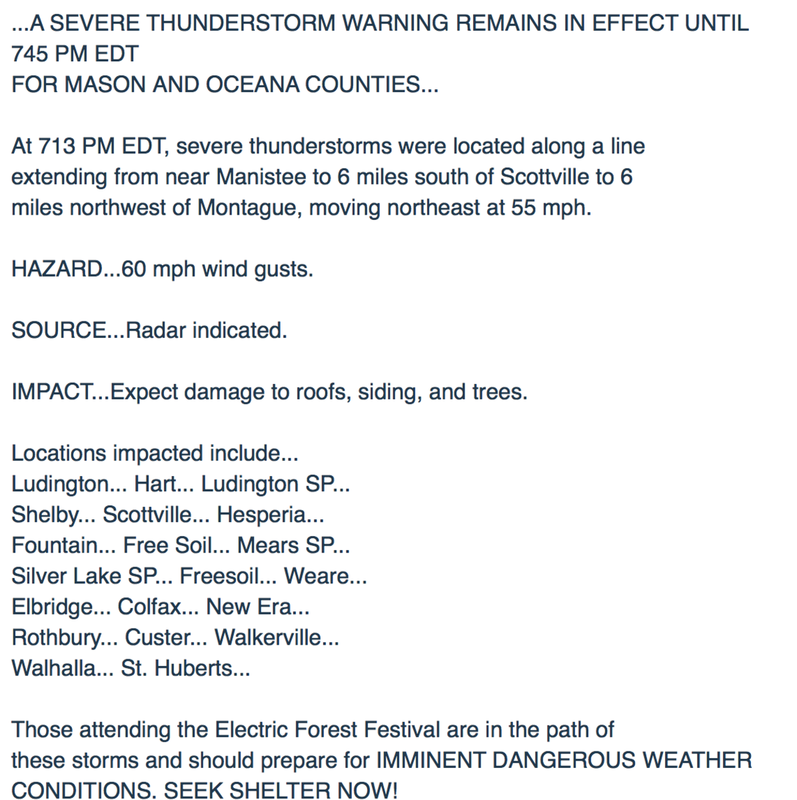 Electric Forest has just announced on Twitter for all of the attendees have been forced to evacuate due to severe weather. They have even advised people to take shelter in their cars. The Weather Channel online has even made reports about the severe weather hitting the are too.